Elaine Zacharakis specializes in technology and privacy law, managed care, corporate health care transactions and health care regulatory matters. 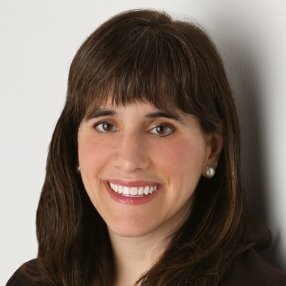 Over the course of her career, Ms. Zacharakis has represented the full spectrum of health care entities, including hospitals, pharmaceutical and medical device companies, health technology vendors, health insurance companies, managed care organizations, physicians, home health organizations, ambulatory surgery centers, pharmacy benefit managers and disease management organizations. Digital/internet matters and information technology matters. IT department personnel and security officers on a variety of technology contracting matters. Represented a Fortune 500 health care company on privacy compliance matters. Represented a Fortune 500 pharmaceutical and medical device company in the establishment of their HIPAA compliance program. Served as privacy counsel to establish policies and procedures, data use agreements and HIPAA business associate agreement templates for a business associate. Represented a pharmaceutical and medical device company in the draft of their fraud and abuse policies. Prior to joining Garfunkel Wild, Ms. Zacharakis maintained her own health, technology and privacy law firm, served as in house counsel with Baxter Healthcare Corporation and consulted and programmed management information systems with Accenture. Ms. Zacharakis is the current chair of the ABA Health Law Section’s eHealth, Privacy & Security Interest Group and member of the legal task force at Healthcare Information and Management Systems Society (HIMSS). From 2004 to 2016, Elaine was an adjunct professor at the Beazley Institute for Health Law at Loyola Law School and the Center for Information Technology and Privacy Law at the John Marshall Law School. She is a prolific writer and speaker. Ms. Zacharakis graduated from Columbia University’s School of Engineering & Applied Science in 1988 and Notre Dame Law School in 1994. Understanding your Rights under HIPAA and Comparing the US to other countries, League of Women Voters – October 18, 2013.